Birds and animals are present on this earth with the beginning of life and they have great importance for comfort and security of man as in the ancient times animals and birds were major source to aware and escape man form his enemies. Their services are matchless for the well being of man but as the man became more civilized and cultured; the distance between man and his true companion is increasing rapidly. Therefore to eliminate this factor man has developed new techniques and methods to make animals and birds civilized and social and now they are again playing very vital role in the lives of men as pets. 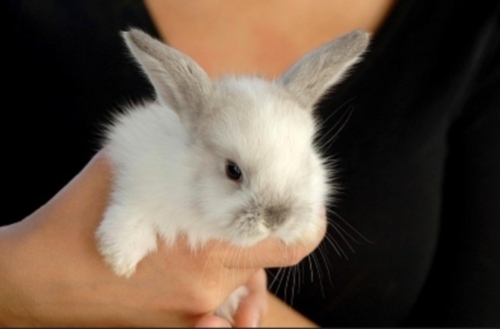 Various animals can be kept as pets such as dogs, horses, dolphins, cats and rabbits and each type of animals have various types of breeds to attract the man such as Dutch rabbits have very special and unique domestic breed that is called Dutch Dwarf rabbits breed. The Dutch rabbits have average life span of five to eight years and this life span can increase up to ten to fifteen years but it appears in very rare cases and not all rabbits reach to this age. The life span of Dutch dwarf rabbits depend upon several factors such as temperature, humidity and other environmental conditions of region and the severity of weather can significantly reduce their life span. Dutch rabbits usually like fresh hay, vegetables and fruits and they also like to eat specific food stuffs for rabbits that are available in the markets but make sure that all types of food stuff must be fresh and not expired because the stomach of Dutch dwarves is very sensitive and expired or old food can cause many infections and diseases such as diarrhoea. The supply of water into their cages must be clean and fresh and always use clay pots to supply food and water because clay pots are very safe choice and your rabbits cannot chew them and they are available on cheap rates. It is very important that you should try to provide good and natural environment to your Dutch rabbits in their cages, you should use wooden cages for this purpose with enough area for the exercises of rabbits. You should also provide bedding materials to your dwarves particularly in the cold weather and you can put different toys for your rabbits in the cage that will help them to keep active and also eliminate the boring effect of cage. The cage of Dutch rabbits must be clean out on weekly basis because these rabbits like healthy and clean environment and now most of the wooden cages are designed in such a way that you can easily wash them. The female Dutch dwarf rabbits gave birth to four to five babies at a time and the average birth period is thirty to thirty three days. The Dutch dwarves have very delicate body and you must get proper instructions to handle them carefully.